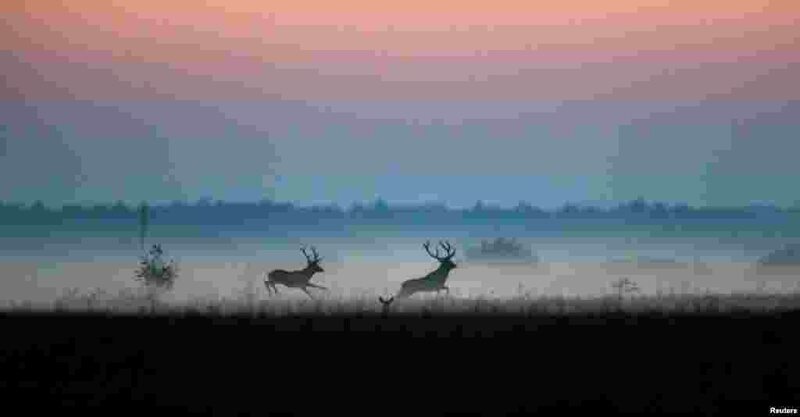 6 Male deer run in a field in Republican landscape reserve "Naliboksky" near the village of Kozliki, Belarus. 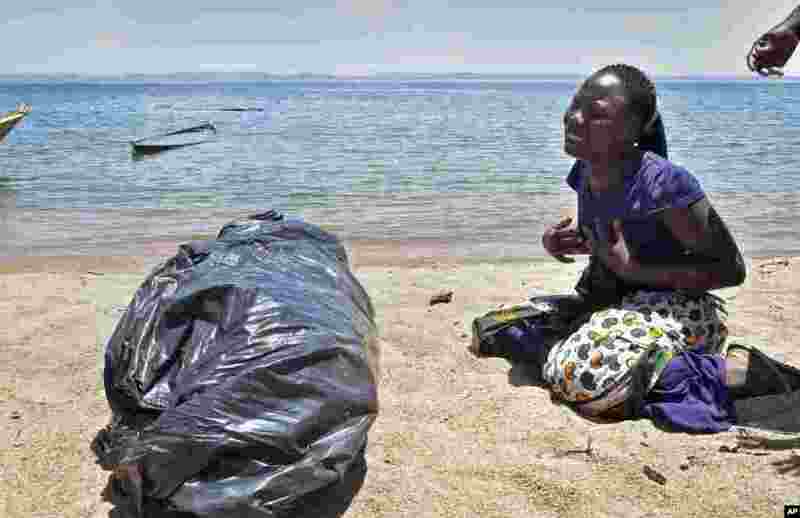 7 A woman cries next to the body of her sister, a victim of the MV Nyerere passenger ferry, as she awaits transportation for burial on Ukara Island, Tanzania, Sept. 22, 2018. The death toll soared past 200 while officials said a survivor was found inside the capsized ferry and search efforts were ending to focus on identifying bodies, two days after the Lake Victoria disaster. 8 Model Carla Bruni Sarkozy, center, and other models present creations during the Dolce & Gabbana fashion show, as part of the Women's Spring/Summer 2019 fashion week in Milan, Italy. 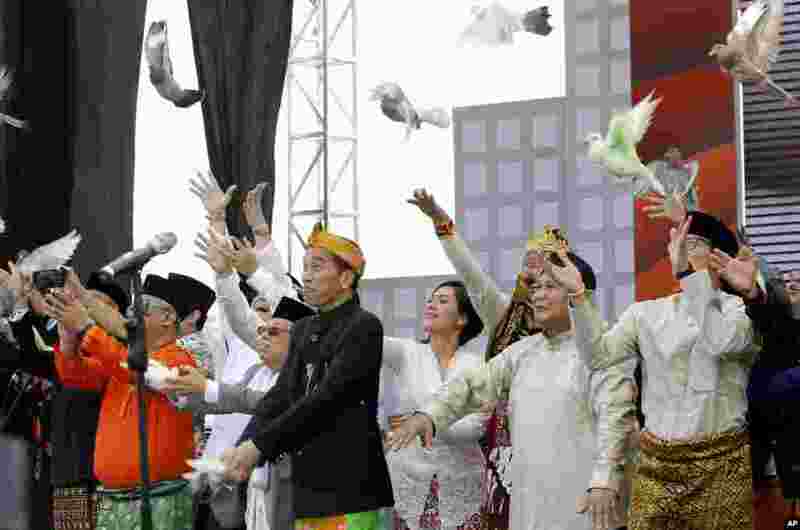 9 Indonesian President Joko Widodo, second left, and his running mate Ma'ruf Amin, left, and his contender Prabowo Subianto, second right, with his running mate Sandiaga Uno, right, release birds during a ceremony marking the kick off of the campaign period for next year's election in Jakarta.